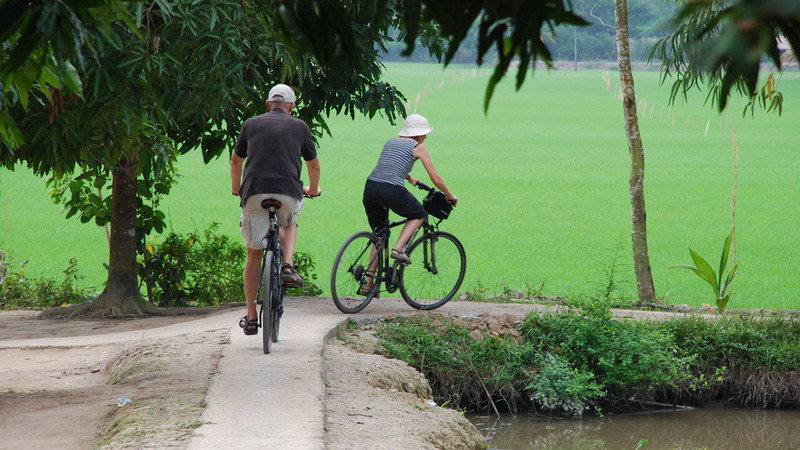 Sinhbalo | Mekong Delta Cycling Tour 4 days | CaiBe CanTho ChauDoc. Leaving Saigon, our shuttle will take you for about one hour drive to LongAn, the gateway to the mighty Mekong. First stage 25k from LongAn suburb to MyTho city, we will pass through the green rice paddies and dragon fruit farms. Our guide will show you how farmer set up their dragon farms and taking care of this special cacti tree. We also turn to a small village track to visit a rice noodle workshop in MyPhong commune, see an old way of making noodles of the Chinese community back to 1679. From this noodles, it became a famous noodle soup called “hu tiu”. 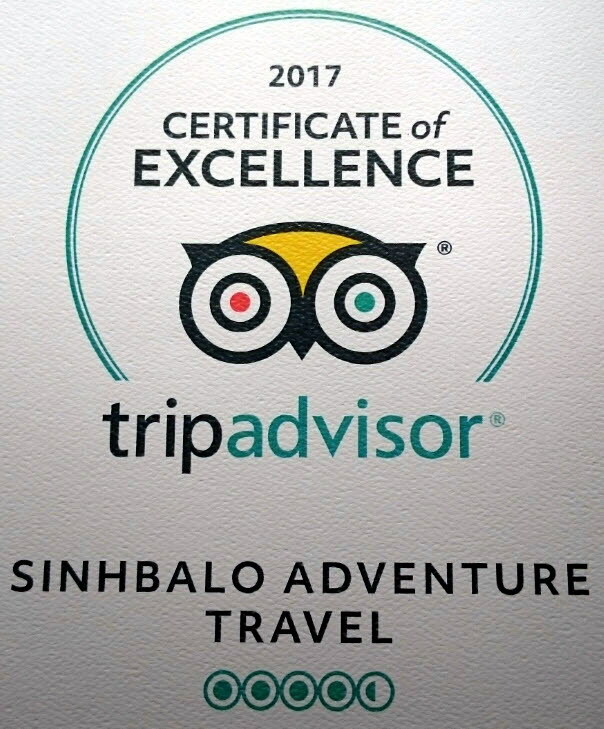 Let our guide know if you would like to try. We will break for lunch at a local restaurant in MyTho city. Arriving in Cai Be, we ride to a local Guesthouse for overnight. 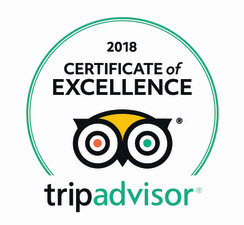 Dinner and spend the night in an eco guesthouse CaiBe. 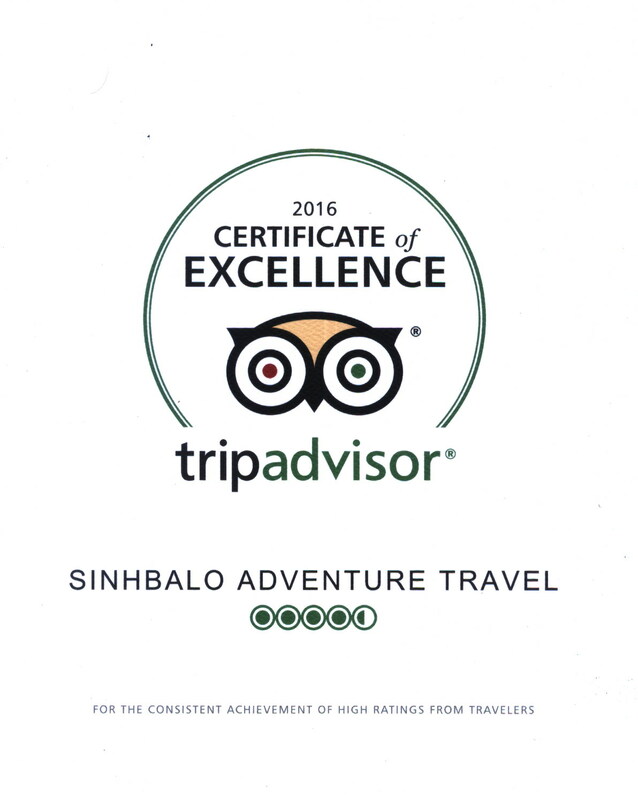 (Incase our Guesthouse in Caibe are fully booked, we will cruise to an eco guesthouse on island. – It’s good to have a small rucksack/bumbag with really just the absolute minimum in it for a night away on the island- change of underwear, shirt, minimal washbag, phone charger, etc. , as you’ll cycle and cruise to the island). This cycle journey to Chau Doc will take you deeper into the more beautiful and even more interesting areas of the Mekong, and where fewer tourists travel to. It is really a long day on two wheels, going through immense rice fields and countryside villages. Following breakfast, under the cool shelter of the green canopy, we take a bike ride for half an hour on small paths, mostly shared with just pedestrians and other local cyclists and scooters, to the ferry crossing for Vinh Long. Back to our shuttle again for an approx. 1,5hr ( ~70km) transfer to Lai Vung where you collect your bikes and continue your challenging day in the saddle. We ride the flat scenic roads ( ~25km) passing through numerous villages, and pause en route at an over 100yrs old carpet mat weaving village Dinh Yen. Lunch break in LongXuyen, followed by a 1,5hr transfer to the canal in Chau Doc where we are on our bike again for another 12km ride to the sacred Sam mountain. 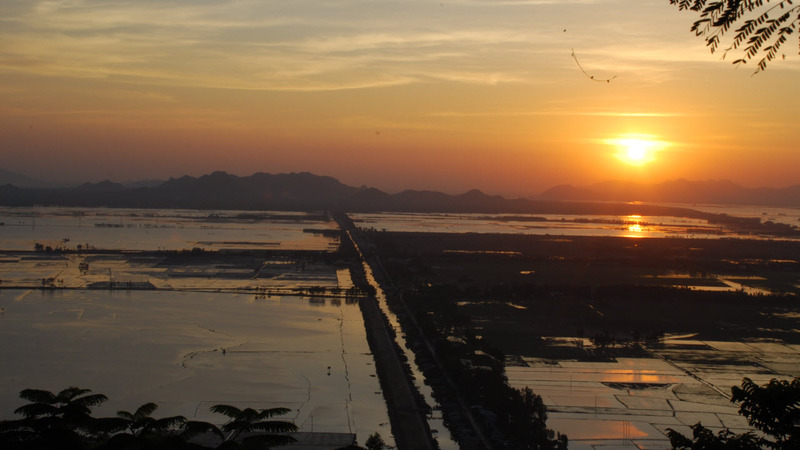 We’ll take leisurely hike up 2.5km to summit of Sam mountain, enjoy sun set over the vast rice fields between Viet Nam and Cambodia. Overnight in Chau Doc. Up early for a boat cruise through the amazing riverside market with all its bustling activity and smorgasbord of sounds, colours and smells. 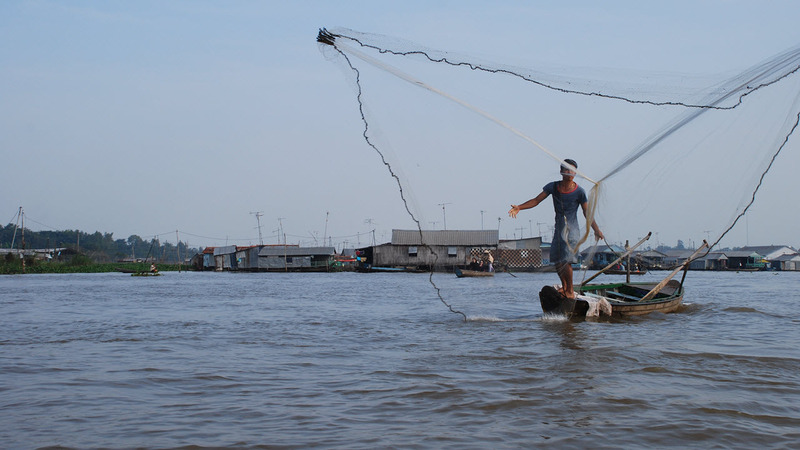 We also cruise through the floating village with tons and tons of fish farmed underneath hundreds of shelters. Afterward, we will be transferred for about half an hour to Bau Muop and remount our bicycles for more flat riding ( about 10km) to the Tra Su natural reserve, boat trip to explore the picturesque mangroves and rare migratory birds. After lunch at a local restaurant, our shuttle will take you to ThomRom( ~ 2hrs), or another place more suitable to your cycling ability, where you will collect your bikes for your continued cycling ( about another 20km). Just discuss with our guide direct on tour, and he will plan a loop including only a little riding or as much as you’d like.Overnight in Can Tho. 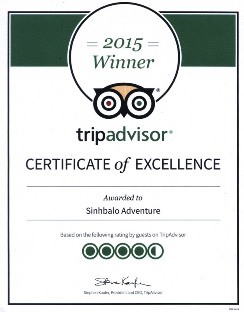 (a city hotel or optional countryside homestay). Day 4: Can Tho to Sai Gon (Breakfast, lunch). We embark on a morning boat trip to explore the vibrant, bustling Cai Rang floating market – one of the last authentic floating markets in Asia swirling with hundreds of boats zig-zagging on the river (http://youtu.be/YVRTpBPnpHs), and also to experience more cruises along small quiet winding waterways around Can Tho. (http://youtu.be/EtIYTK619cs). We have chance to visit a local rice husking mill, or a factory producing vermicelli, etc.. 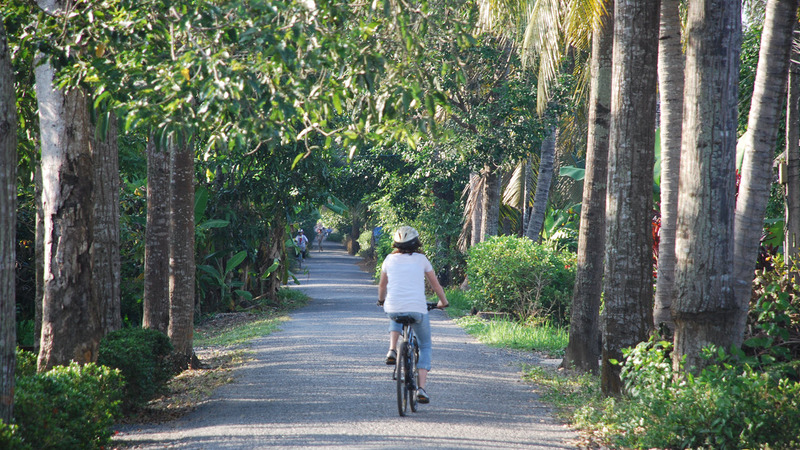 Afterward, we mount our bikes for another two hours pleasant riding under the lush green, jungle canopy in one of the most scenic areas of the Delta, passing through numerous rural villages alongside small canals, greeting locals (many of whom will also be on bicycle). Also pausing at other local markets along the way to watch how the local merchandisers do business. Following lunch, return to Saigon by our private van. You might want mount your bikes again and savor a final ride? 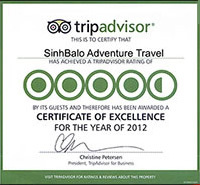 Please discuss with our guide for a route lined with fruit orchards or expansive rice fields on your way back to Saigon. Transport : A/c bus supported with snack, cold water (Four 0.5L bottles per day per person), towel.. Bicycle: High-end mt.bike or hybrid bike. 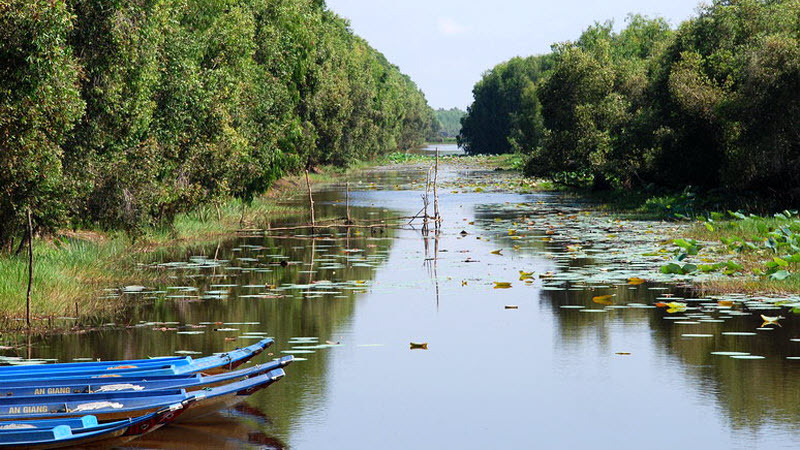 * This Mekong Delta Cycling Tour 4 days itinerary can be reversed, end up in Chau Doc, so you can take the speed boat up the Mekong river to PhnomPenh – Cambodia on day 4. * You should bring a small overnight bag to the guesthouse on island or homestay place. Heavy suitcase or big backpack can be stored inside the van. (safe parking overnight). Guesthouse or homestay place has very basic beds, share bath. * We try to take you to quiet road as much as we can, but this trip is not 100% off-road. We sometimes meet road with a few cars and trucks. If you are allergic to trucks, do not take this trip. Thanks. 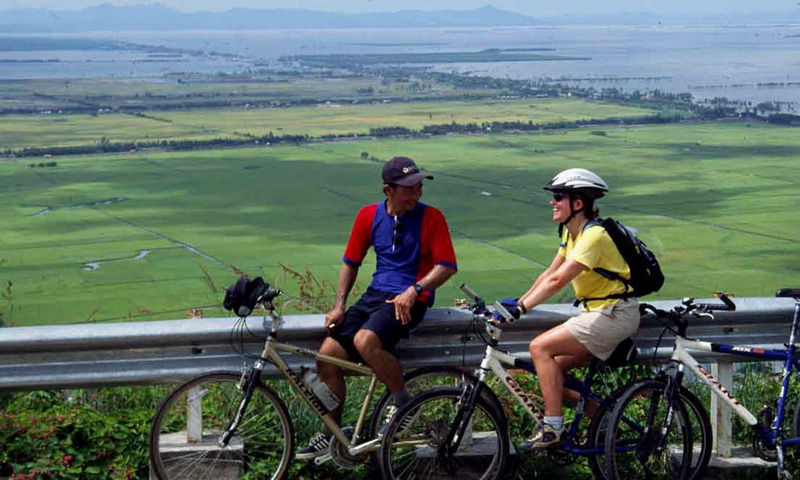 Biking up to Sam mountain in ChauDoc, see Vietnam and Cambodia border area.